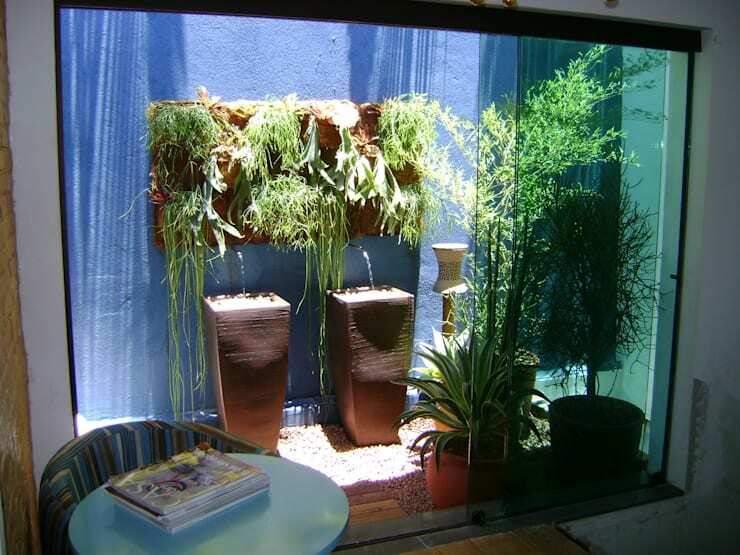 A garden is a lovely feature in any home, adding an element of natural beauty and a relaxing ambience, but space constraints leave many of us without this advantage. 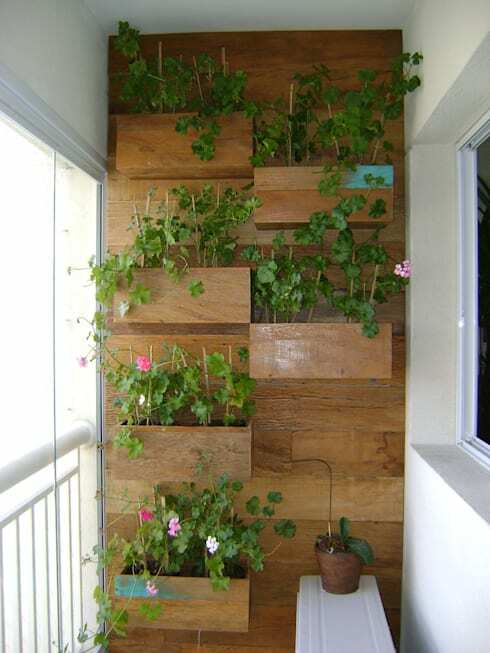 Well, if you lack space, it’s time to go vertical! 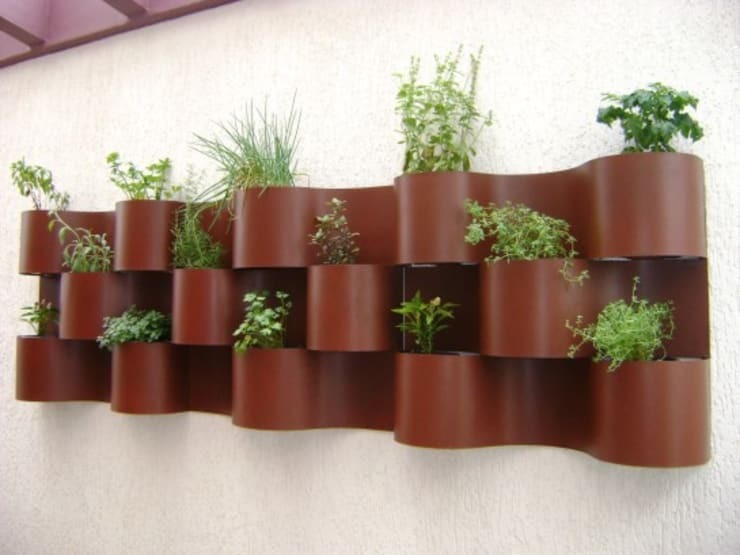 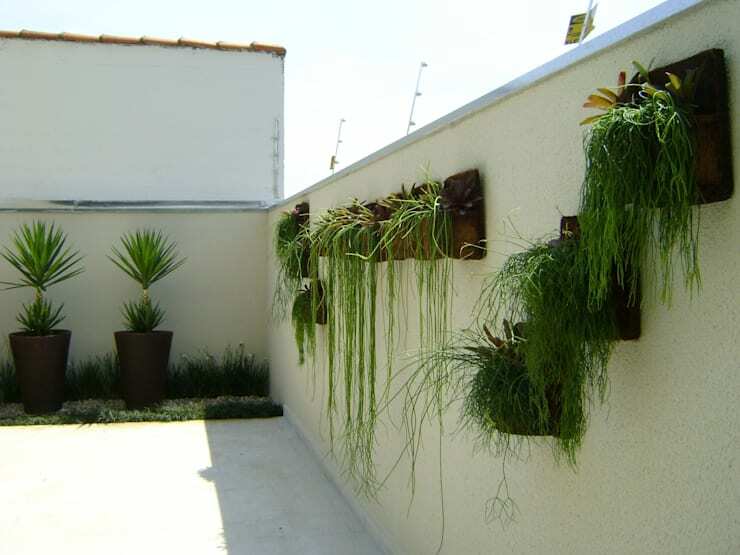 We bring to you 37 gorgeous ways of growing your garden on a wall, thanks to the architects at MC3 Arquitetura! 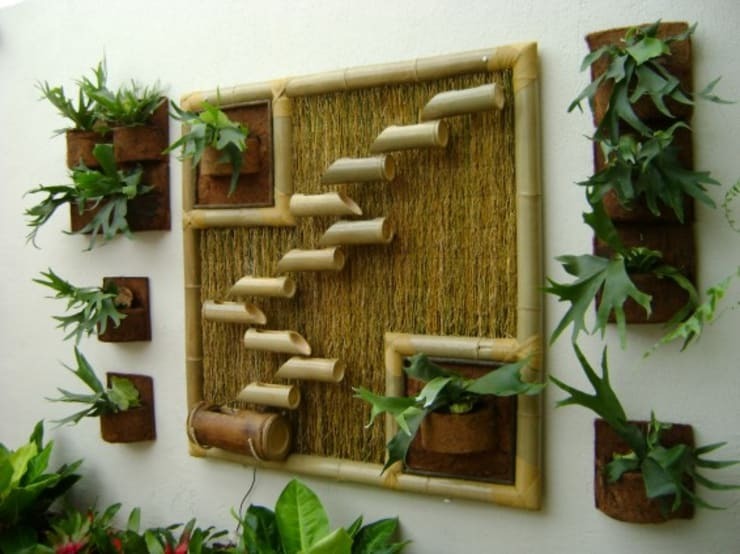 Let’s explore! 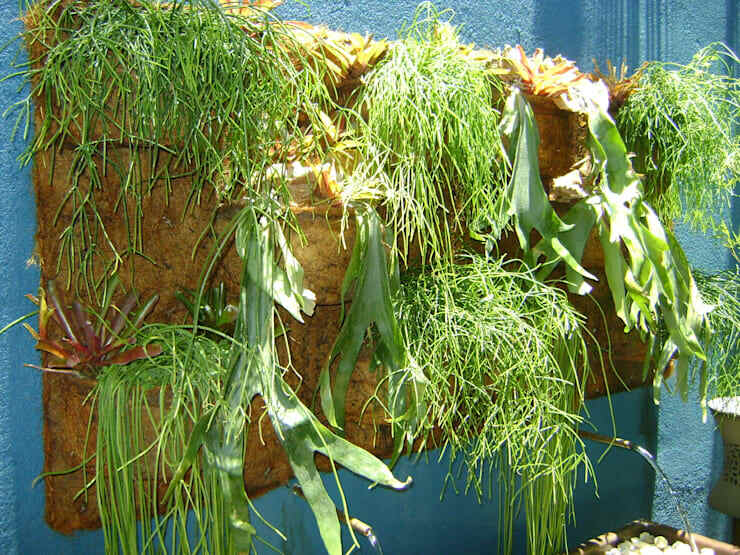 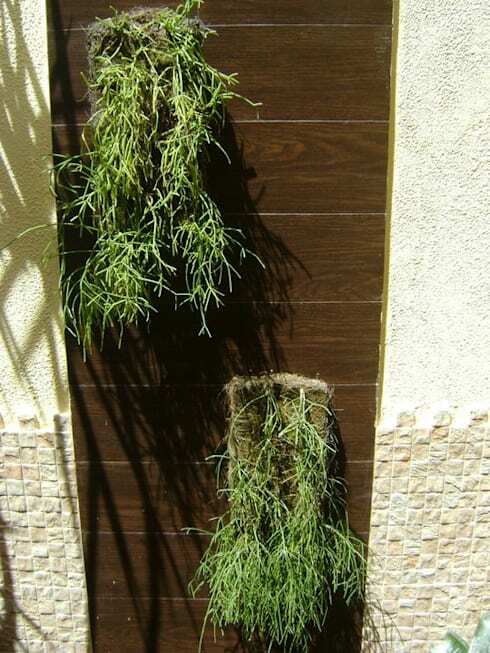 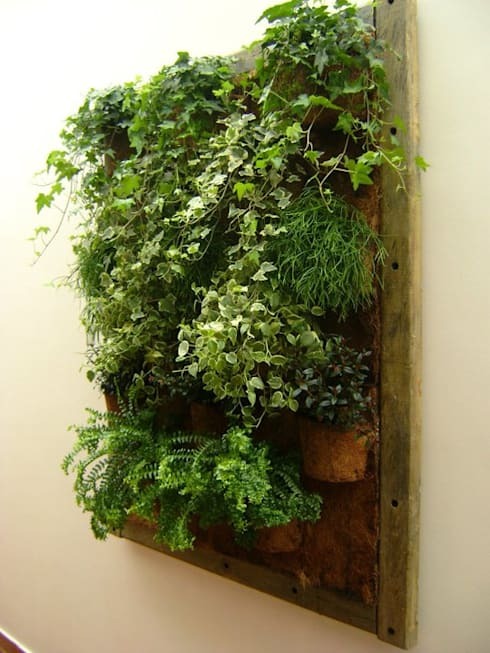 It is important to opt for plants that are suitable for a vertical garden. 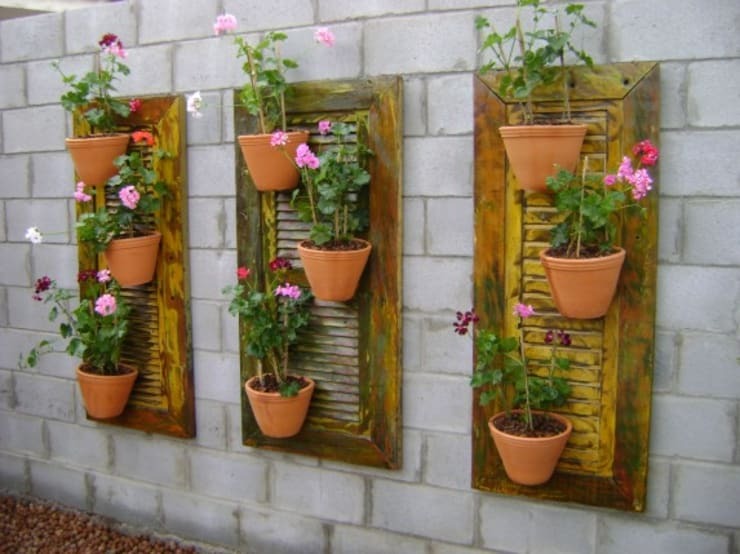 Use old window shutters to make a beautiful garden on the wall! 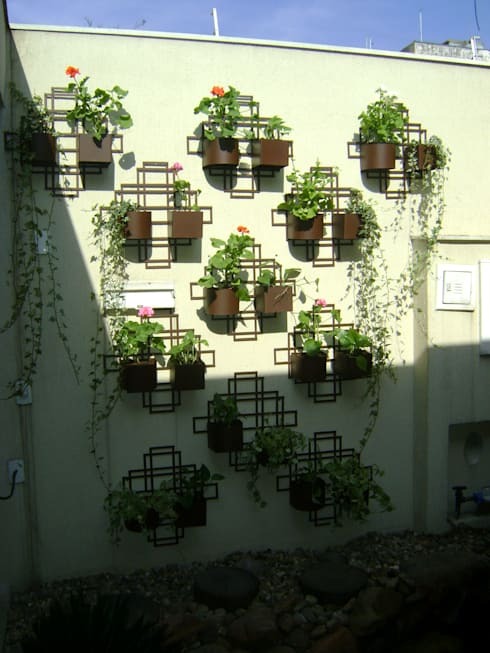 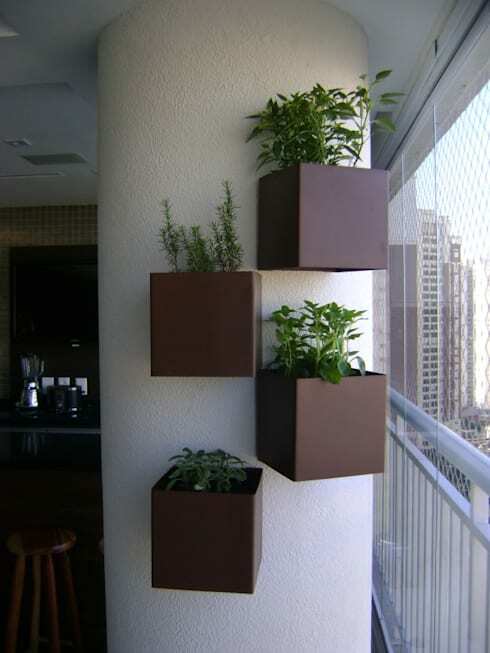 Vertical flowerpots look innovative, modern and stylish! 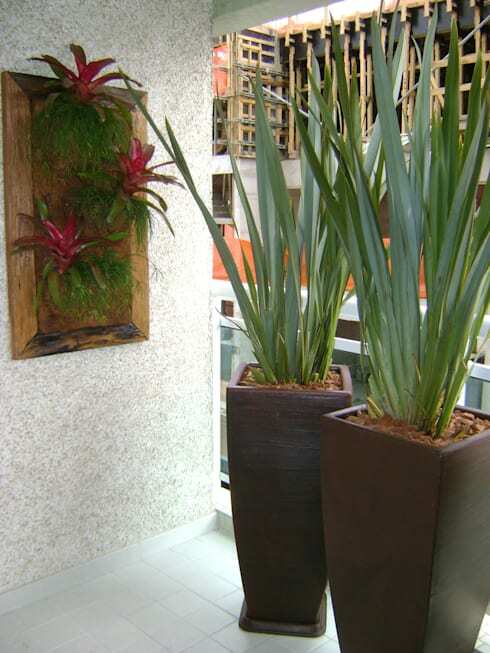 A variety of plants looks glamorous in a large space! 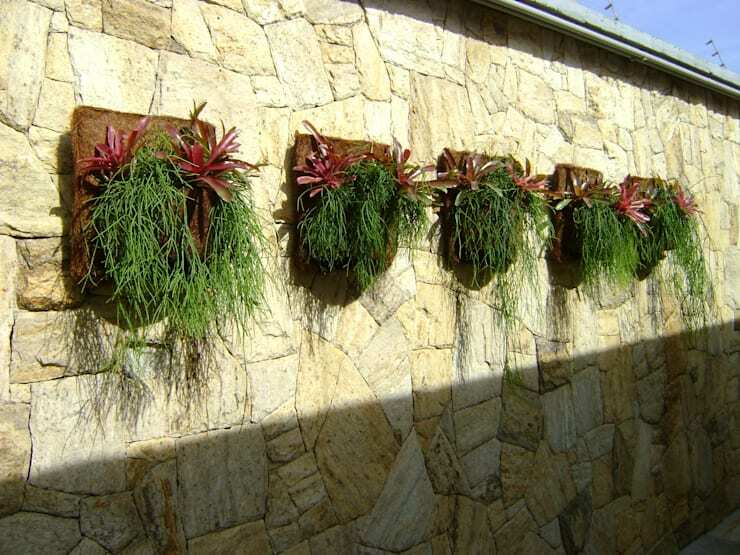 Place your vertical garden over a couple of fountains for a wondrous look! 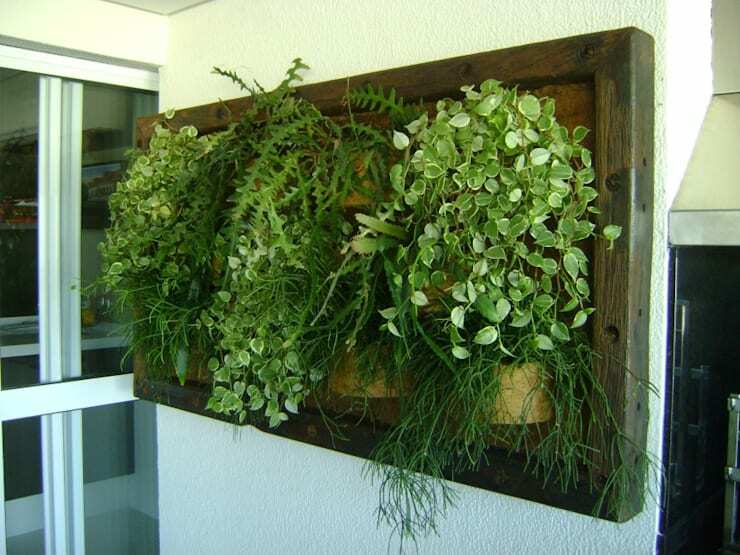 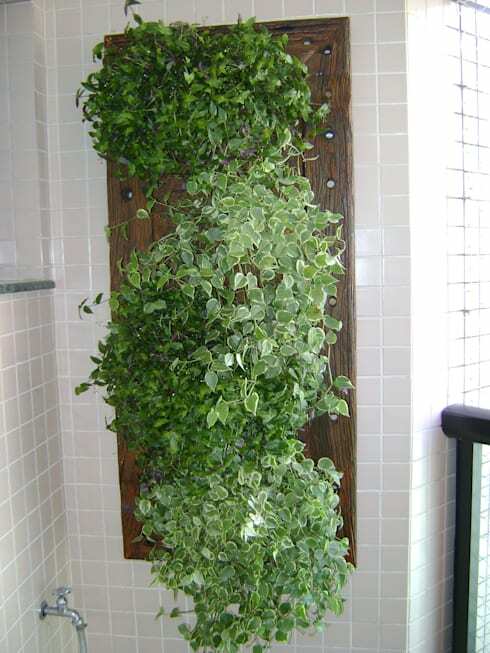 A vertical garden within a rustic frame is a great way to enhance the interiors! 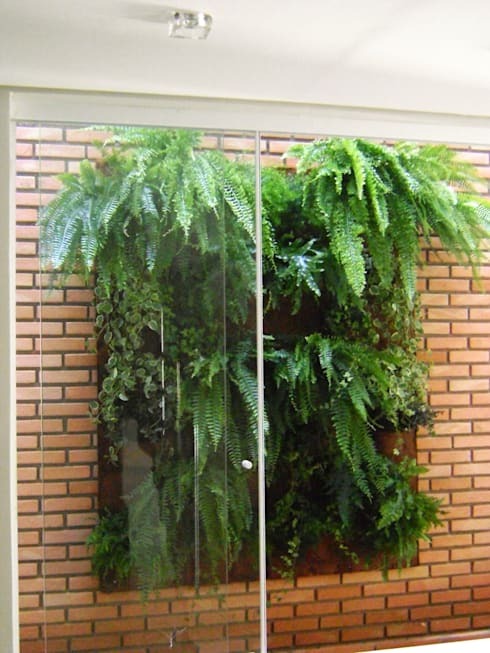 A compact arrangement of lush foliage makes a striking effect! 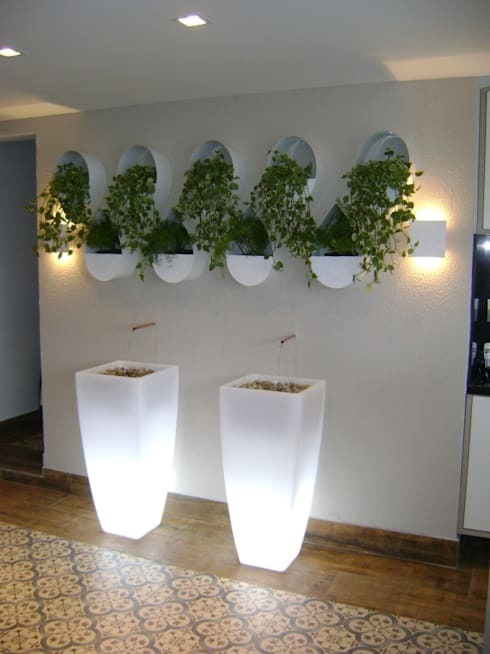 Artistically arranged designer potted plants are ideal for a trendy home! 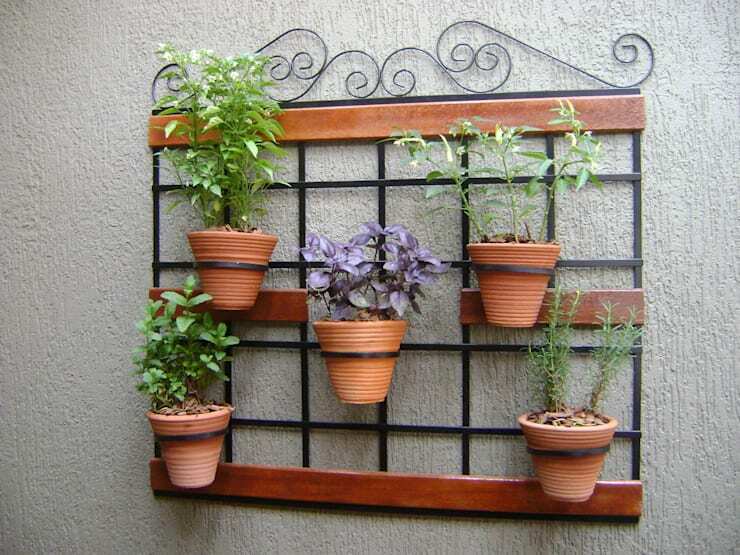 Grow your kitchen garden vertically in integrated pots! 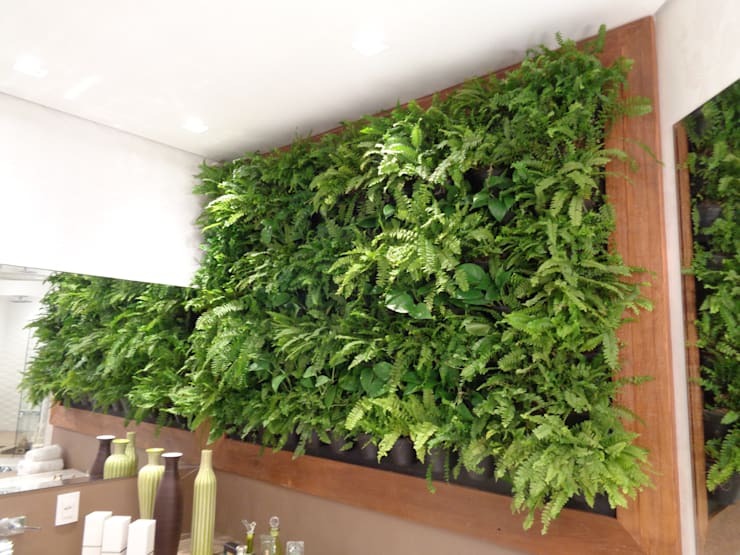 Choose any wall – you can’t go wrong with plants! 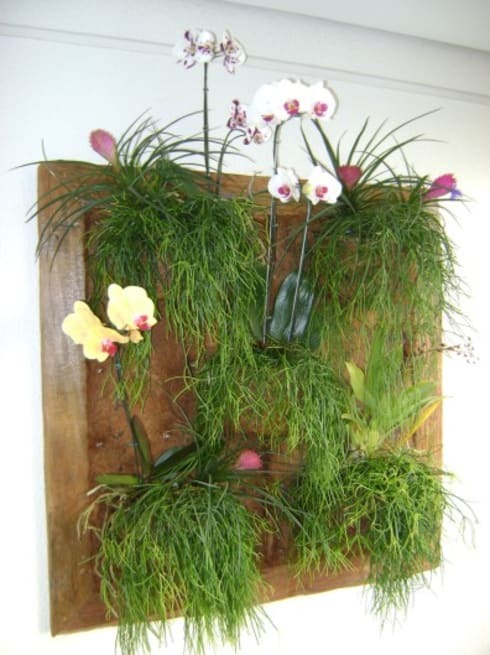 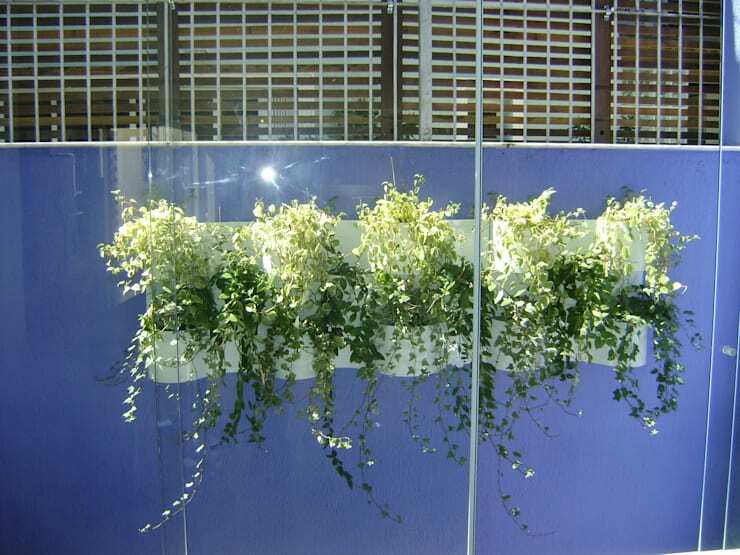 Pretty orchids are an excellent choice for vertical gardens. 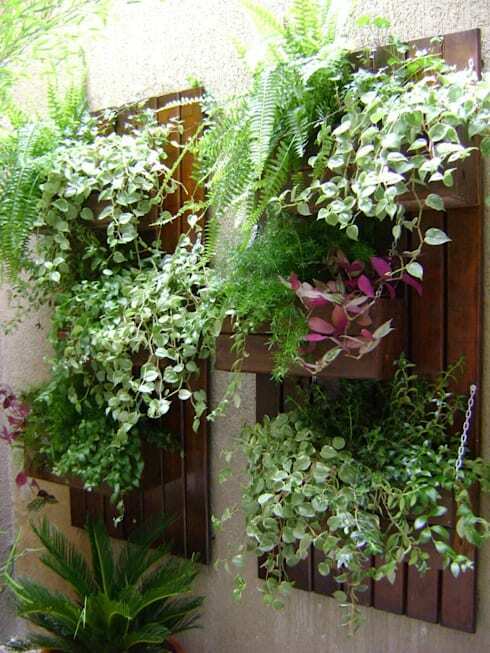 For a large vertical garden, opt for assorted species but which have similar cultivation methods. 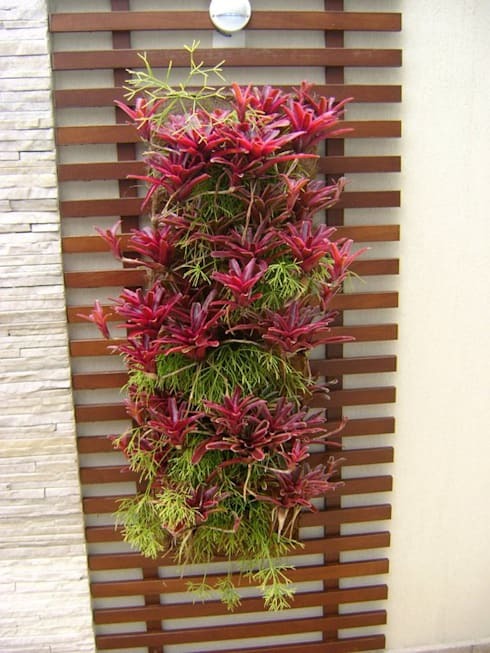 No matter how narrow the wall, an elongated vertical garden looks stunning! 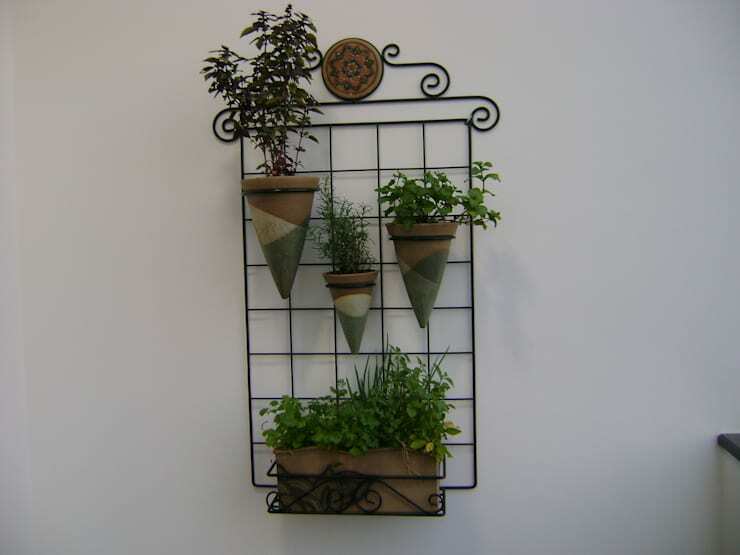 A decorative iron grille and classy pots are a lovely way to enhance your plants. 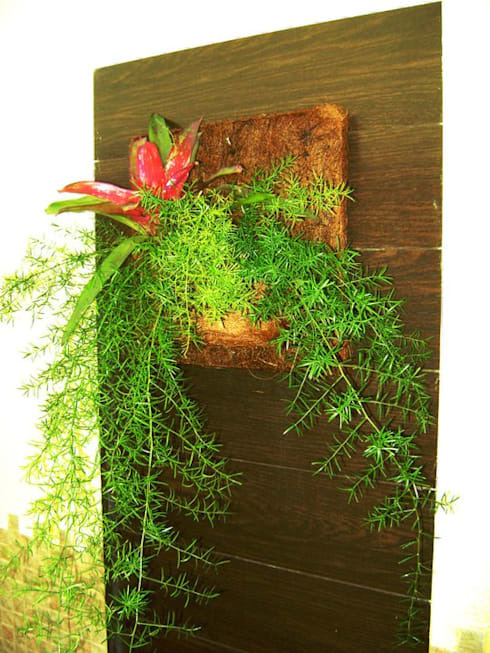 A wooden frame is a classic way of complementing plants. 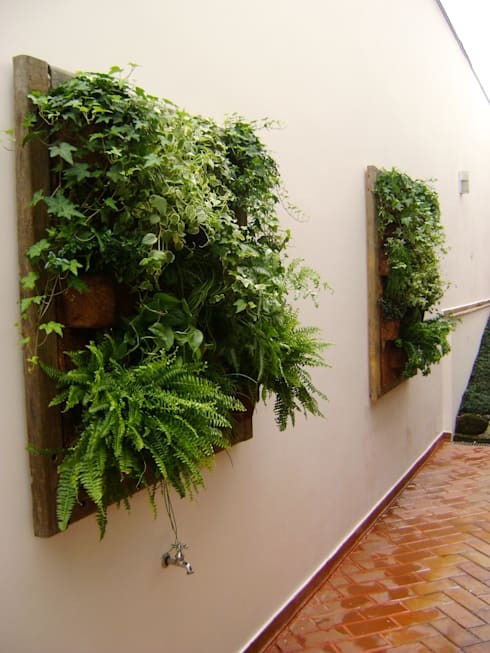 Upcycle your old window frame as panel for your garden! 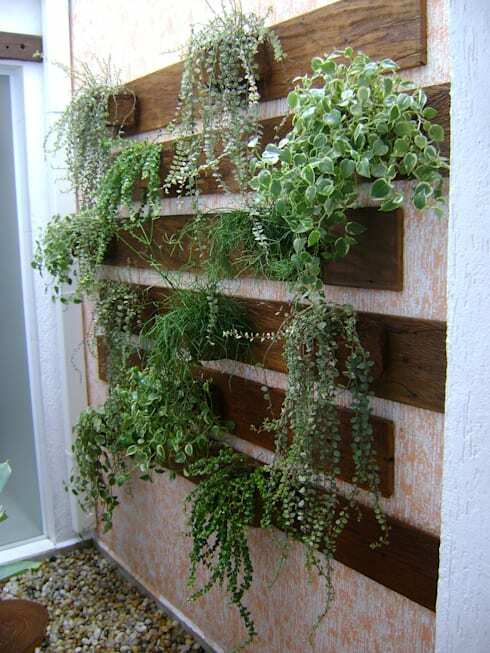 Even an inexpensive décor with basic wooden slats and hanging plants can look impressive! 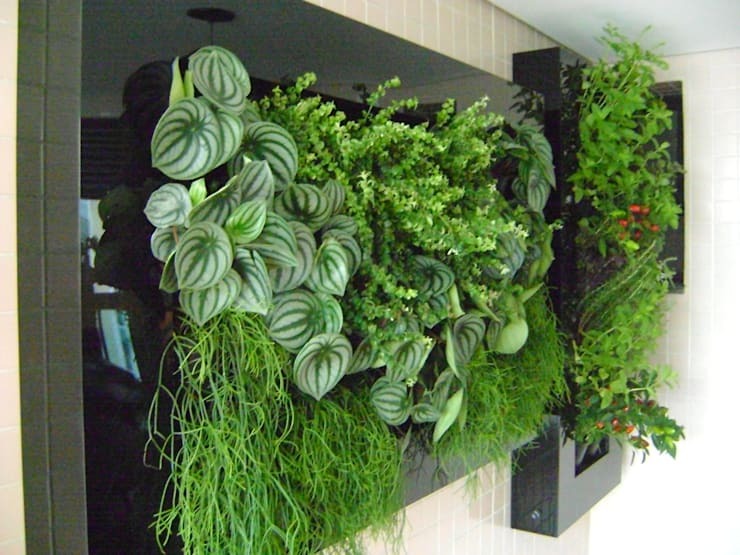 Plants that spread rapidly are a beautiful way to fill up a wall. 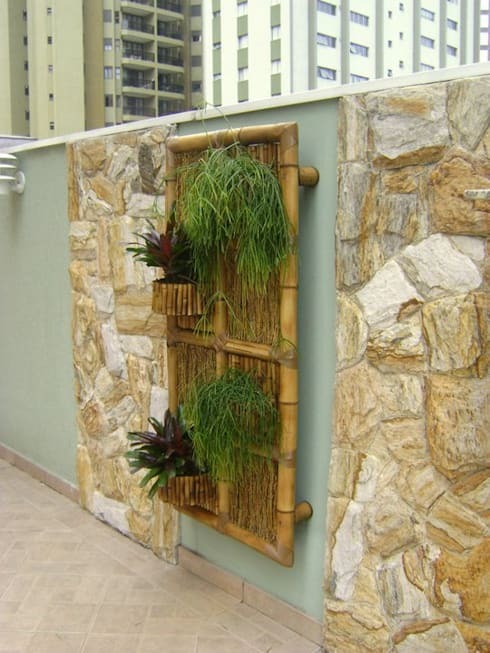 Wow, what a stupendous idea for a tropical-themed bathroom! 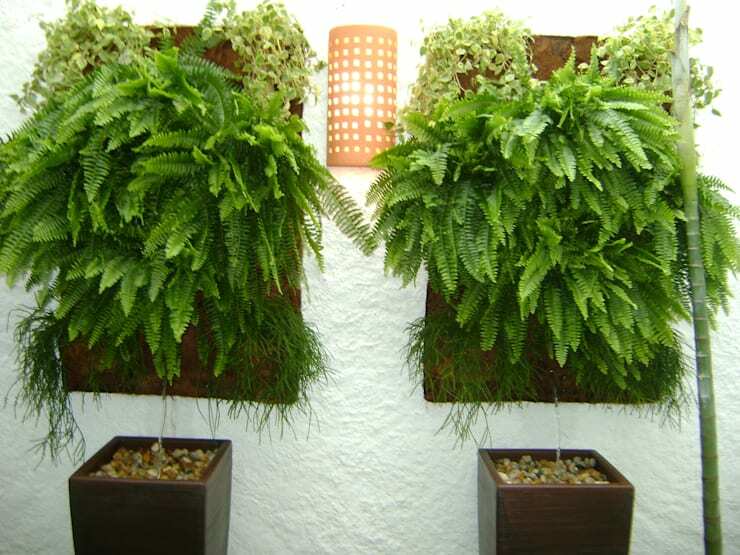 Long ferns are a brilliant option for a cosy ambience. 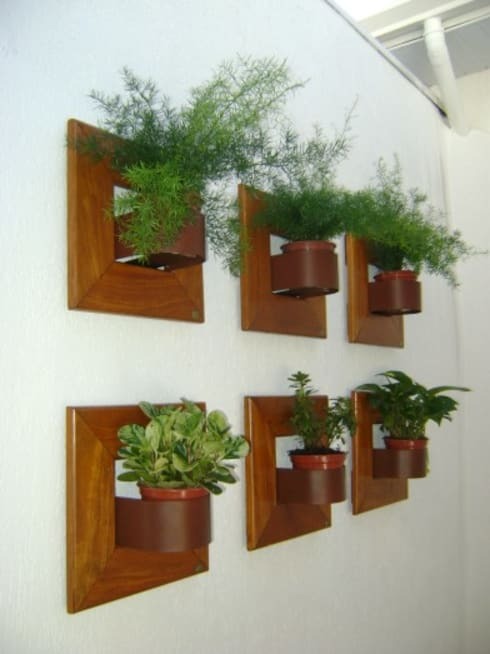 Paint your wall to match your flowerpots! 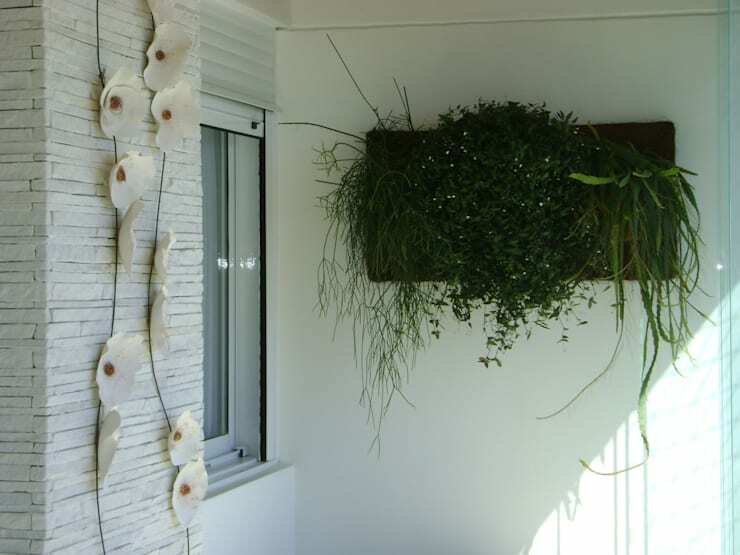 Stone is another natural material that harmonises perfectly with plants. 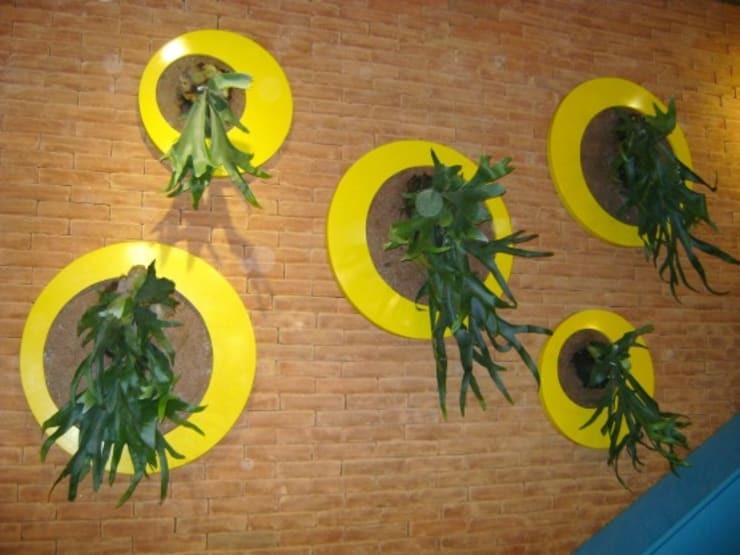 What a modern and innovative look! 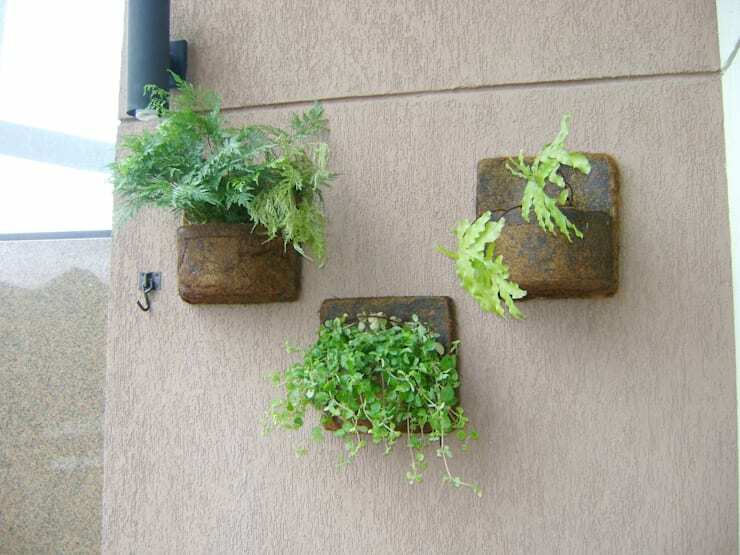 Invest in pebble-filled containers for a vertical garden inspired by aquariums! 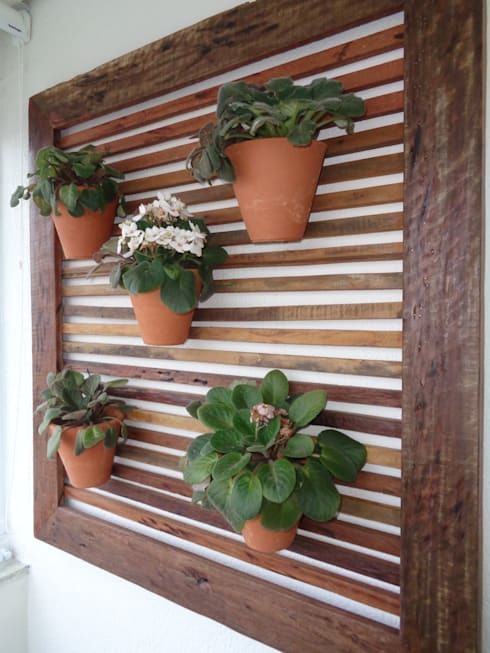 Plants are synonymous with a rustic look and these outdoorsy wooden flowerpots look awesome! 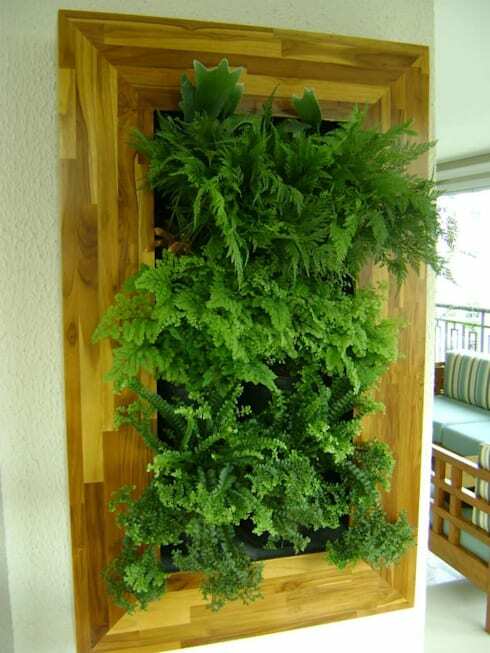 These 37 fabulous vertical gardens will add style and beauty to any home!